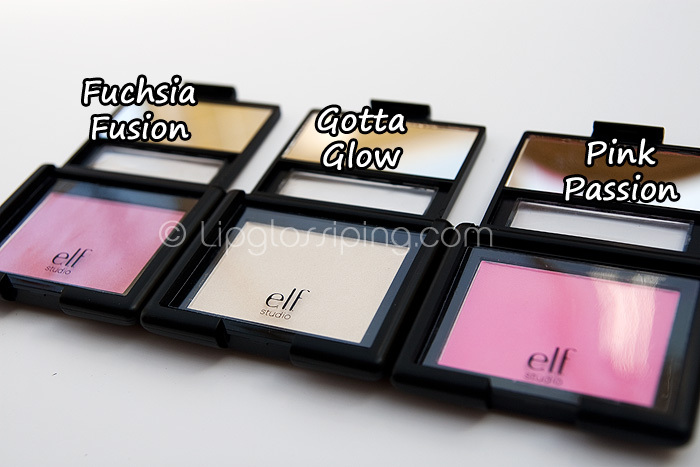 I was sent these a couple of months ago but only got the chance to photograph and review E.L.F’s NARS Albatross dupe – Gotta Glow before my camera kicked the bucket. I’d like to show you the other two that were released at the same time as Gotta Glow. 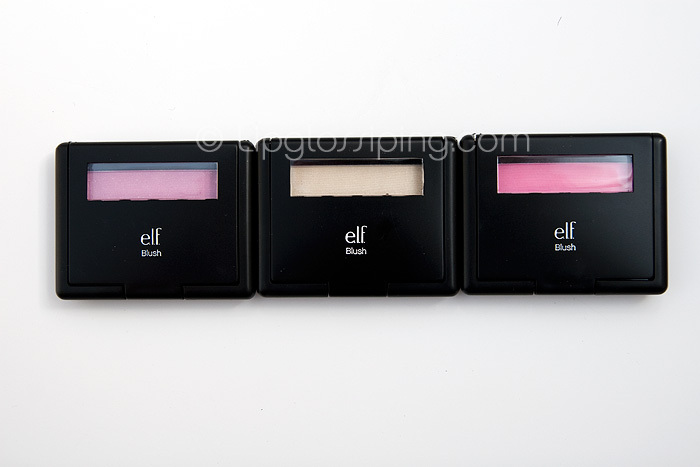 I hope the pictures and swatches are useful. 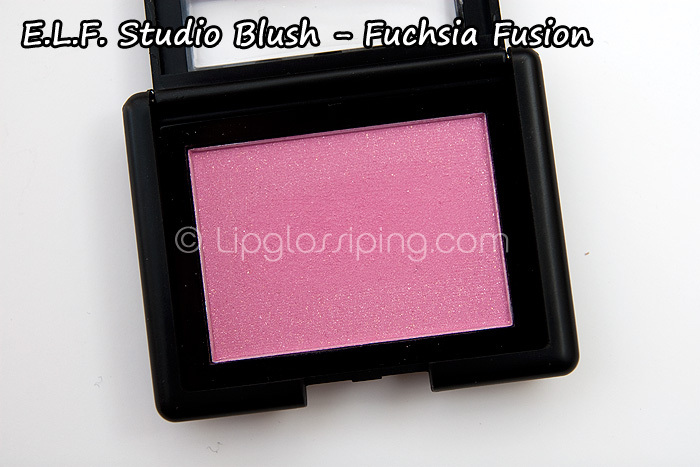 Fuchsia Fusion is a glitter bomb of a blush. A slightly muted raspberry rose shade with silver chunky sparkles. Texture is a bit hard but the pan gives up a lot of powder when you pass the brush over the top. I personally wouldn’t bring this blush within 10 yards of my face until I’ve tapped off at least some of the glitter. Pink Passion is my preference of the two. A proper dolly pink matte blush that feels chalky but soft. 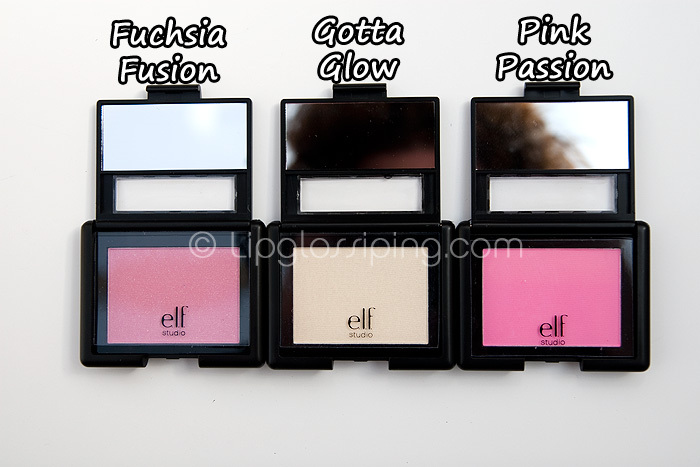 Pigmentation is impressive for the price and you could do far worse than this blush for double the money. If only that glitter in Fuchsia Fusion were a little finer, I’d be giving a double thumbs up. 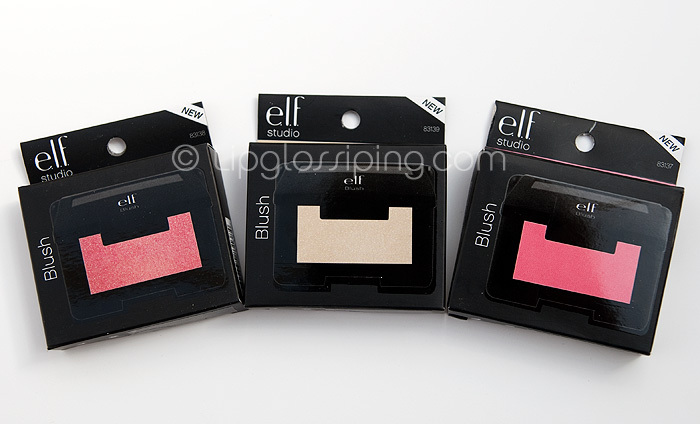 Both blushes are priced at £3.50 and available online from the ELF website. 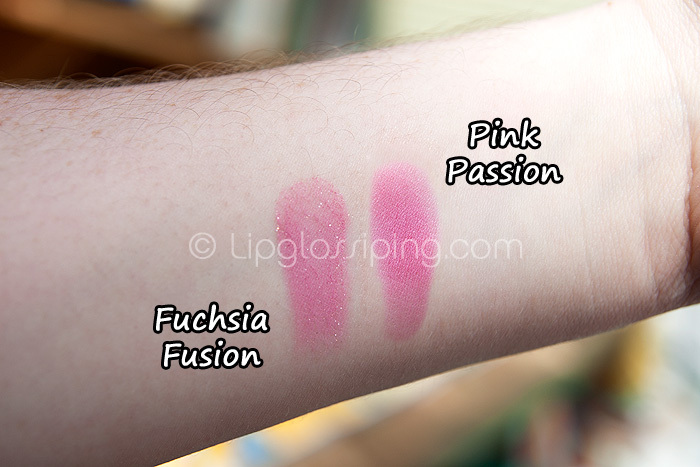 I bought Fuchsia Fusion recently and was really disappointed with it, especially since I love their Candid Coral blush so much, but as you say the glitter is just too chunky. 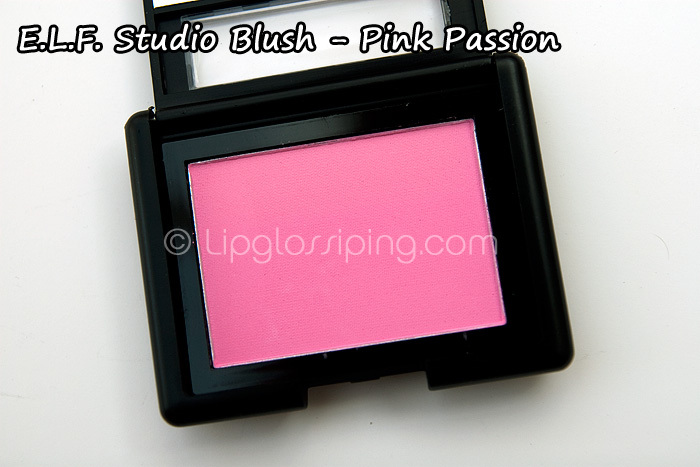 Pink Passion looks so pretty and super pigmented! Holy crap, Pink Passion looks amazing D: I hope I can find it here in Canada!